Not one but two massive events were wrapped up in Jeju, South Korea this weekend. Both the Main Event and refresh event saw big name players come out on top. 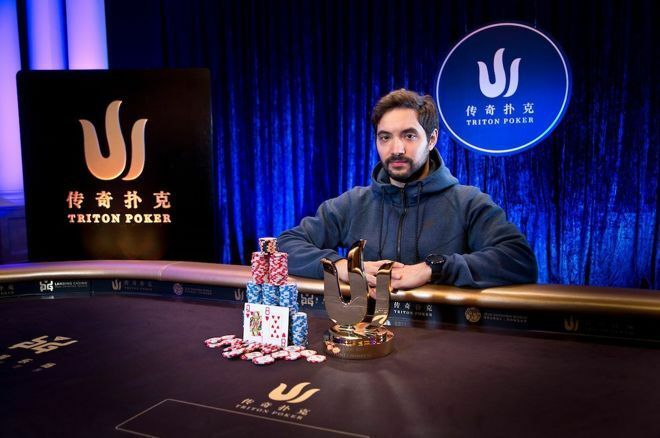 Timothy Adams won the Triton Poker Super High Roller Series Jeju HKD 2,000,000 Main Event for HKD 27,760,500 ($3,536,550) after agreeing to a deal with Bryn Kenney during heads-up play. Adams: "I obviously had to run very, very good, as I think most people have to to win a poker tournament. I’m thrilled that it’s me." This was the largest single cash for Adams, who now has more than $14 million in live tournament earnings. "To win, it feels amazing," Adams said to Triton Poker after his win. "I obviously had to run very, very good, as I think most people have to to win a poker tournament. I’m thrilled that it’s me." The tournament attracted 48 entries, including 16 reentries, to generate a HKD 90,204,000 ($11,491,541) prize pool. A total of six players cashed with the top five walking away with at least $1 million. According to Triton Poker, Adams entered the six-max final table with a commanding chip lead with 107 big blinds followed by Kenney with 64 big blinds. Peter Jetten, Dan Smith and David Peters were closely bunched at the bottom of the pack with 12-16 big blind stacks while Isaac Haxton entered the final table with 25 big blinds. A player was eliminated on the very first hand, and it wasn't one of the shorter stacked players. Instead, Haxton was the first to go in sixth place for HKD 6,300,000 ($802,589) after he three-bet jammed ace-ten and couldn't get there against Kenney's kings. Kenney: "That’s the nastiest run-out I’ve ever seen." On the very next hand, Peters was eliminated in fifth place for HKD 8,150,000 ($1,038,269). He jammed for 10 big blinds from the small blind with ace-three and couldn't hold after Jetten called with king-ten suited from the big blind. Jetten was the next to go in fourth place for HKD 10,390,000 ($1,323,634). He jammed with king-nine suited on a king-high flop and was eliminated after Kenney called with a set holding pocket kings. Smith was ousted in third place for HKD 13,600,000 ($1,732,572) after his king-eight couldn't get there against Kenney's ace-deuce. Kenney entered heads-up play in a marginal chip lead against Adams before the duo agreed to a deal with each player locking up more than $3,000,000 and about $500,000 left to play. Adams then delivered Kenney a horrific cooler when his eight-five gave him a higher full house than Kenney's ace-four with two fours coming on the flop followed by a five on the turn and another five on the river. "That’s the nastiest run-out I’ve ever seen," said Kenney after the hand. Kenney surrendered the rest of his chips making a hero call with ace-high only to run into a queen-high flush held by Adams. "It’s kind of standard," Adams said about the final hand. "I was obviously very thrilled to get called." Despite Kenney's frustrations during heads-up play, he did walk away with a massive runner-up prize of HKD 24,039,500 ($3,062,513), while Adams became the latest Triton Poker High Roller Series Main Event champion. Adams shared he felt good about the win especially considering the difficulty of the field. "It feels really good," Adams said after the win. 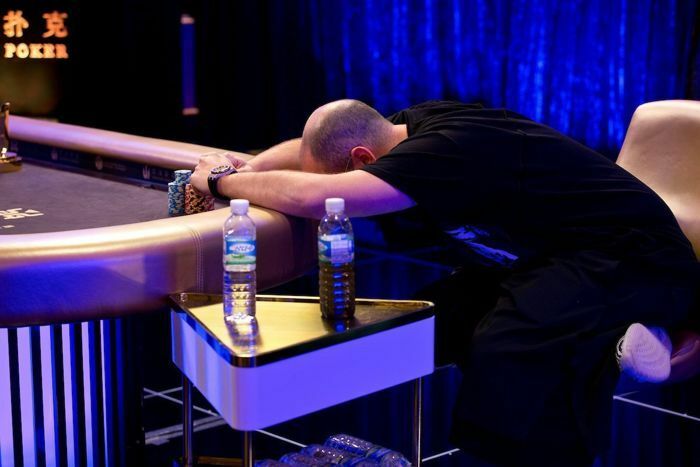 "I’m really tired right now, three really grueling days of poker. The field was really tough. The best players in the world were in the field." 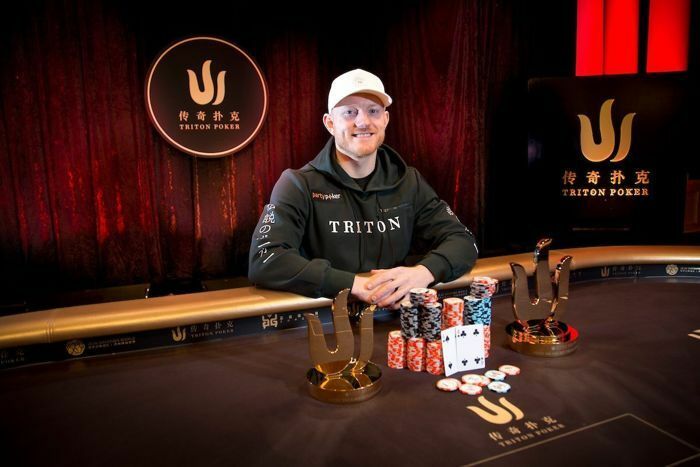 Triton Poker Ambassador Jason Koon continued his dominance at the Triton Poker Super High Roller Series Jeju at Landing Casino over the weekend. He won the Triton Refresh HKD 1,000,000 No Limit Hold'em Event for HK$7,640,160 ($973,306). Koon agreed to a heads-up deal with Stephen Chidwick, who due to his chip advantage at the time walked away with a higher prize of HK$8,859,840 ($1,128,685). Koon: "It’s ridiculous to sign up for six tournaments and turn up and final table four of them, and win two of them"
This marks the second Triton Poker Super Series Jeju title after previously winning the Triton Poker Super Series Jeju HKD 1,000,000 Short Deck Ante-Only event for HK$22,300,000 ($2,840,945) and has notched up four final tables in the six events he has played. Koon claims he ran fire hot to achieve this amazing performance. "It’s ridiculous to sign up for six tournaments and turn up and final table four of them, and win two of them," Koon said. "It doesn’t happen very often. I’ve run extremely, extremely well, but that’s what has to happen. Some weeks you run good, this week I ran fire hot." The event attracted 25 entries including three reentries to generate a HK$ 23,500,000 ($2,993,745) prize pool. The tournament was originally scheduled to play over the course of two days, but organizers changed it to a one-day event while adding an extra event to the schedule. Michael Soyza, who already won an event this festival, fell short of the money in fifth place in cruel fashion after his ace-queen couldn't hold against the ace-jack held by Paul Phua. After the bubble burst, Phua was in the chip lead with Koon at the bottom of the pack. Phua expanded his chip lead further after eliminating Michael Addamo in fourth place for HKD 2,800,000 ($356,702). Koon and Chidwick battled before Chidwick eliminated Phua in third place for HKD 4,200,000 ($535,052). Koon and Chidwick agreed to a deal with the latter earning a bit more due to his chip lead. With only the trophy left to play for, Koon and Chidwick struck a new deal with the tournament organizers allowing them both to go all-in. Koon finished on top and added his second Triton Poker Super Series Jeju trophy to his collection. "It’s been a dream week," Koon said. "It was incredible, it was amazing." * Images and hand data courtesy of Triton Poker.